With the May day literally a couple of days away marking the beginning of Springtime fertility it will not be long until Summer is upon us. Although recently the weather has not been reflecting this (we had snow this week! ), nevertheless my thoughts have turned towards making sure Monkey has some Springtime/Summertime clothes in his wardrobe. After all we all know the unpredictable nature of the good old British weather which is bound to spring an unexpected hot day upon us in the near future. I do the majority of shopping for clothes for Monkey online, working full time and not wanting to drag a little boy around the shops (anything for an easy life) I normally gravitate towards department stores. We have the added complication of needing 100% cotton clothing for Monkey due to his eczema, as we get into larger sizes (4-5 years) this becomes more difficult to find. Department stores such as House of Fraser have a wide selection of brands to choose from which means I have more chance of finding 100% cotton. They also regularly run brand discount days (everyone likes a bargain) and offer free delivery on a £50 spend, which I have always found to be prompt. 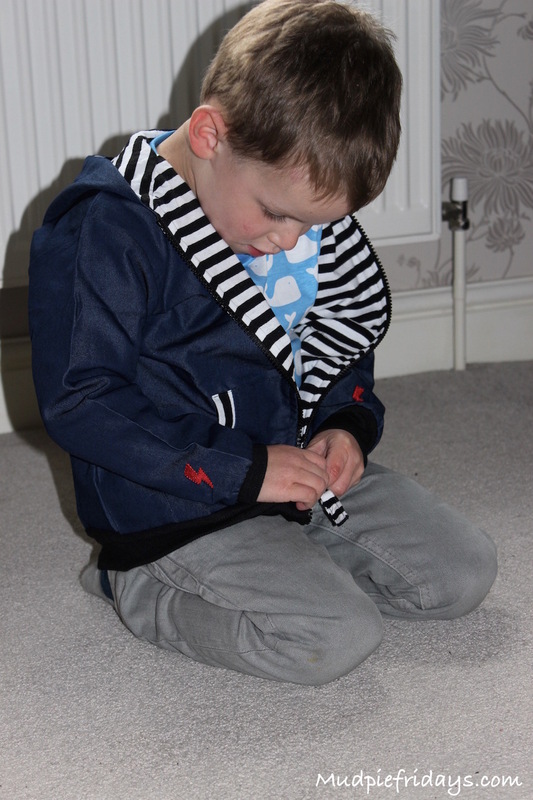 House of Fraser very kindly sent us two Toby Tiger T-Shirts and a lovely spring jacket by Rockabye Baby to review. On the denim side there are little red lighting flashes on the sleeves and front panel which add to its coolness. Its machine washable which has got to be a must and as soon as Monkey put it on he didn’t want to take it off. I can see us getting a lot of use out of this over the Spring and Summer period especially on those cooler evenings when you have been out all day and need a light weight cover up. We chose size 4-6 and I would say its true to size, Monkey is broad on the shoulder for his age and already in 4-5 age tops, there is plenty of room when done up and I am hoping we will get two years out of it. RRP is £40.00 but at the moment it is on offer at £26.00 grab yourself a bargain. I have been a fan of Toby Tiger since Monkey was born their bright colourful tops and clothing has always featured in his wardrobe, partly because they are 100% organic cotton and secondly because I have always struggled with boys clothing. It can be really difficult to find something different. These two t-shirts are completely within keeping with the Toby Tiger brand and a fantastic price of £19.99. £10.00 for an organic cotton t-shirt is great value. I love the funky pattern and Monkey chose to model the whale option, however the blue stripe will go with a lot of other clothing he has in his wardrobe. 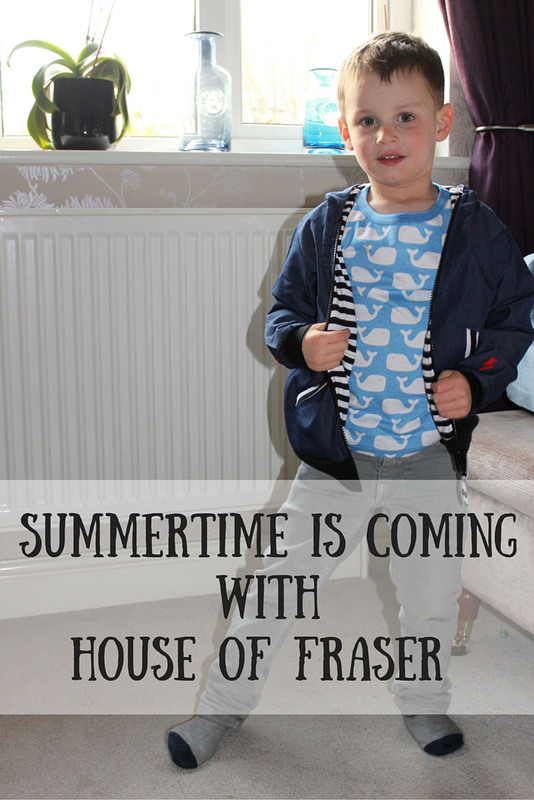 Currently House of Fraser are running a brand event so the above prices are all discounted. If you are looking for a Spring/Summer time wardrobe for you child the check out their Kids Clothing pages. You can search but age, gender, customer review, brand and colour which makes it very easy for you to find what you are looking for or to put a complete outfit together. Next Post What to pack in your hospital bag? This time of year the children seem to sprout and all of their clothes need replacing! 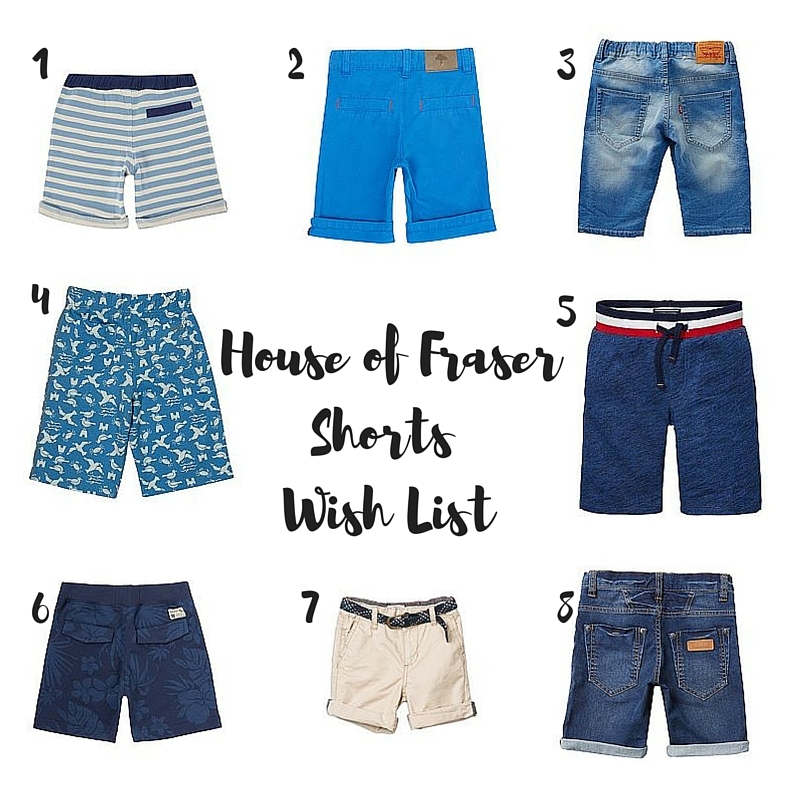 I do like their shorts and I love the Tshirt with the whale pattern on you purchased – my boy would love that! – but any colours other than red?! That’s a gorgeous jacket! I love the tees too!